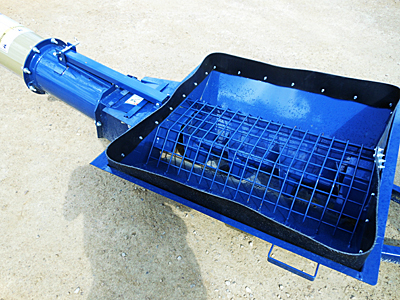 We stock a large selection of new Westfield and Farm King augers. Call for our best price. We now stock Harvest International grain augers. 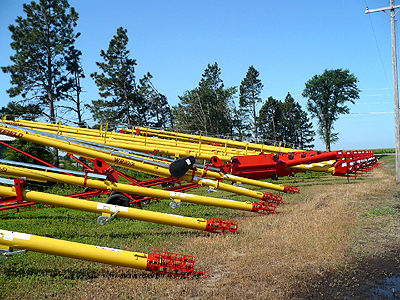 Designed by an engineer who also farms, these augers are well built and equipped with features farmers want. New Buhler Farm King Y1385TMMR 13" X 85' gear-drive low profile swing hopper auger, 540 CV PTO, standard equipment reverse option, new 11LX15 10-ply ag rib implement tires. Weighs 6,596 lbs. Lists @ $26,585. 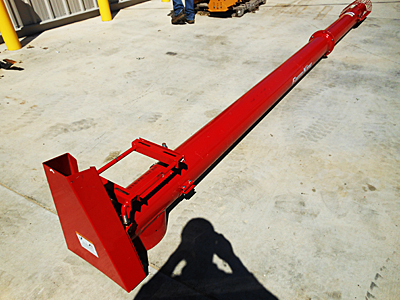 Can add 13" X 10' extension kit, part # Y140, to convert to 13" X 95' auger for $1,720. New Westfield MKX130-74 13" X 74' gear-drive, low-profile swing hopper auger, new 16" factory tires, 540 CV PTO, square shaft flighting connections. Optional 1,000 PTO drive kit available. Lists @ $20,873, plus freight and setup. New Buhler Farm King Y1370TMMR 13" X 70' gear drive low profile swing hopper auger, 540 CV PTO, standard equipment reverse option, new 95LX15 8-ply ag rib implement tires. Weighs 5,340 lbs. Lists @ $23,345. We have two units in stock. New Westfield MKX100-73 10" X 73' gear drive low profile swing hopper auger with new factory tires. Set up and ready to go. Lists @ $14,470 with freight and setup. We have two units in stock. New Westfield MKX100-63 10" X 63' gear drive low profile swing hopper auger with new factory tires. Setup and ready to go. Lists @ $13,565 with freight and setup. New Buhler Farm King Y1070 TMMR 10" X 70' low-profile, gear-drive swing-hopper auger with reverse kit. Complete with freight and setup. New Harvest International A1062 10" X 62' auger, A-frame transport (non-scissor lift), 540 CV PTO drive, gear-drive low-profile swing hopper with flat-free tires, new factory transport tires. Ask about optional electric hopper mover with wireless remotes. New Westfield W130-36 13" X 36' auger, electric motor drive (less motor). Includes freight, setup and used tires. New Farm King 1336 13" X 36' auger, top enclosed drive with #80 chain, new implement tires, shown with direct PTO drive. Have available electric motor drive kit. Choice of PTO drive or electric motor drive. New Buhler Farm King C1036E 10" X 36' triple belt gas engine/electric motor drive auger, enclosed upper drive with #80 chain, heavy duty gear box, new factory implement tires. Lists @ $7,050, with freight & setup. We have two units in stock. New Buhler Farm King C1036D 10" X 36' direct drive PTO-driven auger, heavy duty gear box (auger can be set up to drive from either side), enclosed top oil bath drive with #80 chain, used tires with tubes. Lists @ $7,020, with freight & setup. New Westfield WR100-41 SD 10" X 41' direct PTO-drive auger. Includes freight, setup & tires. New Harvest International T1042 10" X 42' auger, direct PTO drive, new factory tires. New Westfield WR80-51 8" X 51' belt PTO-drive auger, complete with freight, setup and used tires. New Buhler Farm King C1031E 10" X 31' triple belt gas engine/electric motor drive auger, enclosed upper drive with #80 chain, heavy duty gear box, factory implement tires. Lists @ $6,320, with freight & setup. New Buhler Farm King C1031D 10" X 31' direct drive PTO-driven auger, heavy duty gear box (auger can be set up to drive from either side), enclosed top oil bath drive with #80 chain, new factory implement tires. Lists @ $6,225, with freight & setup. Two units in stock. New Westfield WR100-31 10" X 31' SD auger with direct PTO drive. Includes freight, setup & new tires. New Westfield WR80-41 8" X 41' belt PTO drive auger, new factory tires. Complete with freight and setup. New Westfield WR80-31 SD 8" X 31' direct PTO-drive auger. Includes freight, setup & tires. 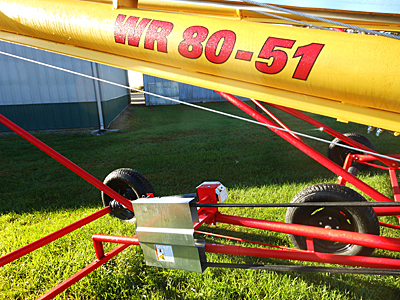 New Westfield WR80-36 8" X 36' electric motor-drive auger (less motor and motor pulley). Includes freight, setup & tires. We have two units in stock. New Westfield WR80-31 MD 8" X 31' gas engine or electric motor drive auger, new factory tires. Includes freight and setup. 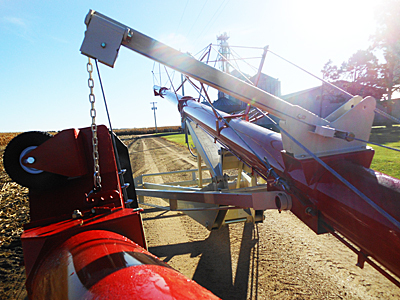 Buhler Farm King Y1010H unloading auger, hydraulic drive (less hoses to power source), 10" diameter tube, 12' tube length, hopper size 60" long X 43" wide. New, with freight & setup. Three units in stock. Unverferth 21643 6" X 14' gravity box auger, steel tube/steel flighting, hydraulic top drive motor, 39" hopper, mechanical winch, includes flexible rubber discharge spout. Available with optional 64" hopper (add $120). Also available with brush flighting. Buhler Farm King Y816 8" X 16' utility auger. Includes motor mount and 12" double belt auger pulley. Lists @ $940, plus freight and setup. Can add 8" X 5' or 8" X 10' extensions. Harvest International T10 flex hopper (part #: PBT1030). Fits Harvest International T1032, T1036 and T1042 augers. Lists @ $1,340. Also have T10 dolly wheel jack (part #: PBT1029). Lists @ $850. Harvest International T8 flex hopper (part #: PBT08025). Fits all 8" Harvest International augers. Lists @ $1,310. 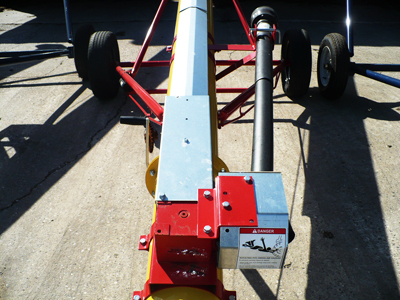 Also have T8 dolly wheel jack (part #: PBT080026). Lists @ $825.